From time to time some of our Club members "make the news" -- in a good way. When this happens, we like to honor them by posting that news on our website. You can read about them right here. 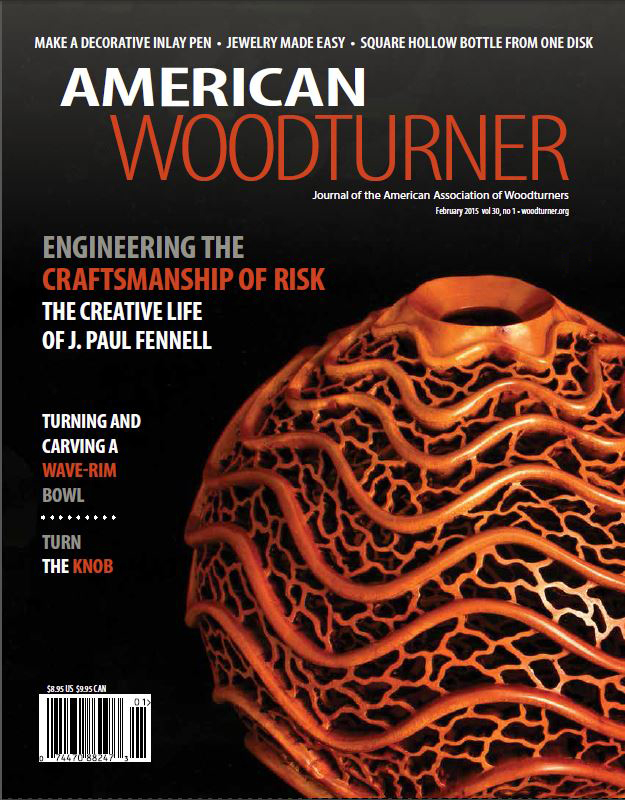 J. Paul Fennell and his outstanding woodturnings was the feature article (and front-cover page) in the February 2015 issue of American Woodturner, the Journal of the American Association of Woodturners. 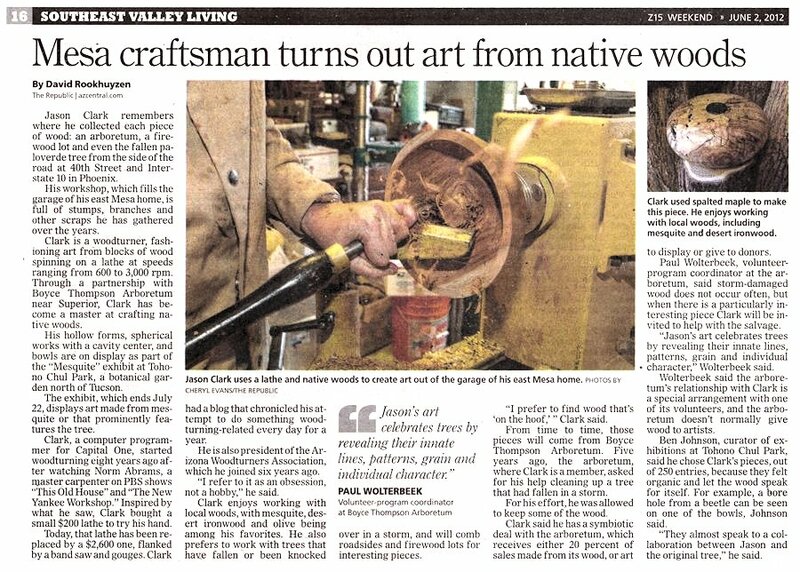 You can read this excellent article, titled "The Creative Life of J. Paul Fennell" by clicking the picture below↓. 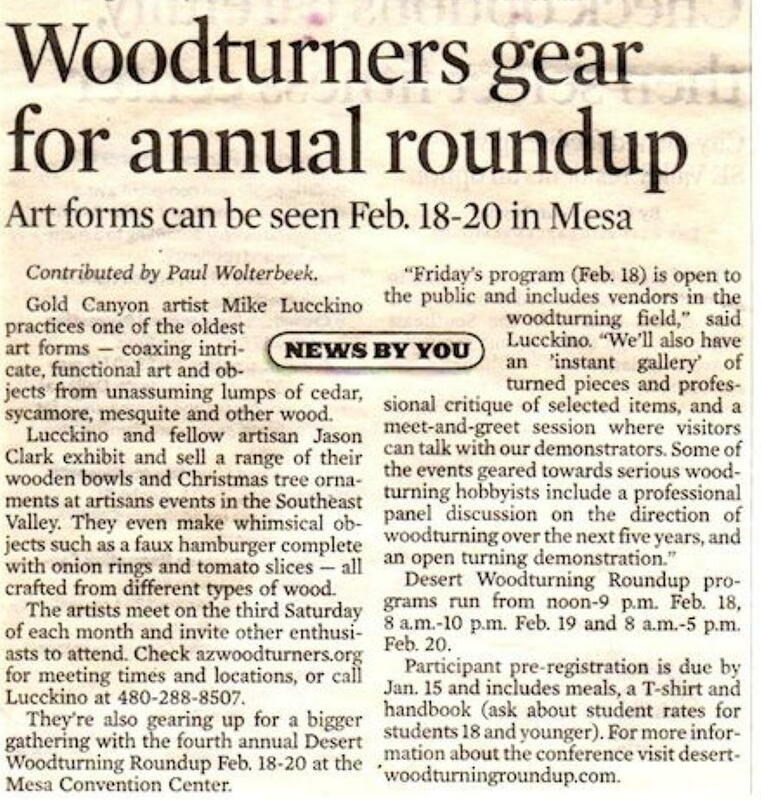 Article and image reprinted by special permission of the American Association of Woodturners. 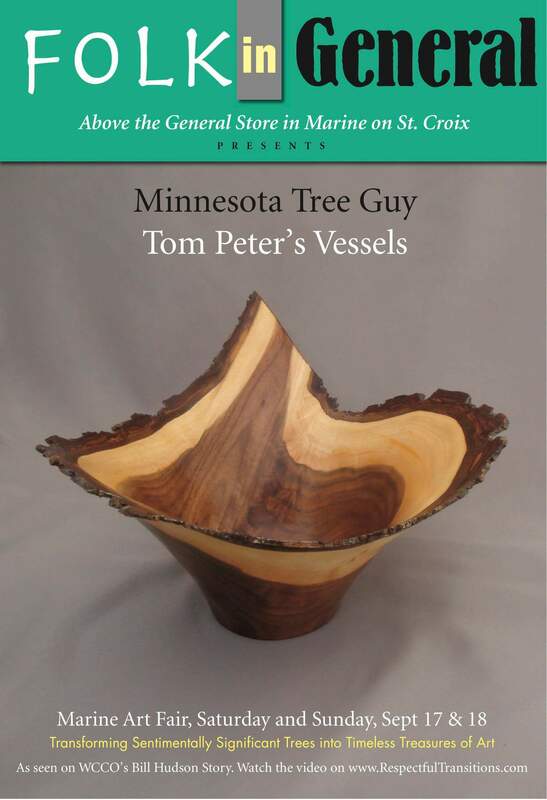 Tom Peter, better known as the "Minnesota Tree Guy" was featured on TV station WCCO in Thanksgiving Day, 2010 for his creation of a "tree-memories" bowl. You can watch the video on his website: www.RespectfulTransitions.com. He also was a featured exhibitor at "Folk in General," and his exhibit flyer is shown below↓. 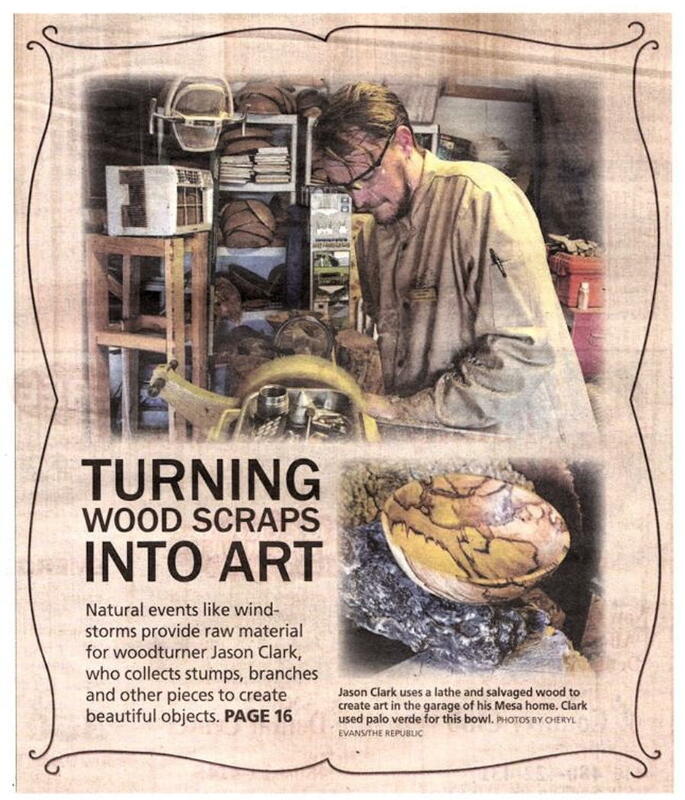 Tom Peter: Arborist Woodturner Creates Pieces Rich with Emotional Meaning. Be sure and read it too. 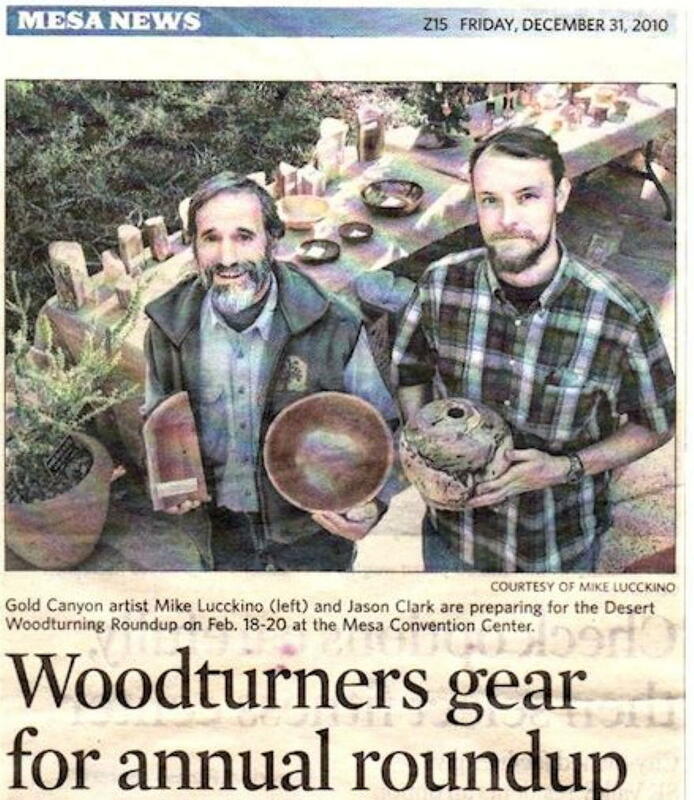 Mike Luccino, past President of Arizona Woodturners Association, is a lifetime member of our Club and a very accomplished turner. He is also featured in the last article listed above. If you missed it, be sure and review that article.